Grey's Anatomy is no stranger to dramatic twists, killing off characters and similarly heart-wrenching narrative shakeups. As a result, it can be a bit stressful to be a fan of one of ABC's longest-running dramas; how can you emotionally prepare each week for what Grey's is delivering? Now, it looks like there might be a bit of a reprieve for Grey's viewers when season 15 premieres in the fall, because the theme of the season has been confirmed, and yes, it's going to lift the spirits of all the show's fans. On Monday, TV Line reported that the theme for season 15, which was confirmed by showrunner Krista Vernoff, will be "The Season of Love" as the news outlet puts it. This should already be a big relief for fans who have stayed with Grey's and know that as recently as season 14, there was still lots of heartbreak and beloved characters leaving the show before they were ready to say goodbye. This new theme should guide both the characters and the fans who love to watch them back to a happier place. The "Season of Love" theme also delivers on the comments made by Vernoff back in September 2017, when she told TV Line she wanted to deliver storylines that brought "more joy and more light and more humor" to the world of Grey's. While those comments at the time specifically referred to Arizona's love life (and the character has since left the show), they definitely hinted at Vernoff's overall vision for where she wanted to take the stories in Grey's. 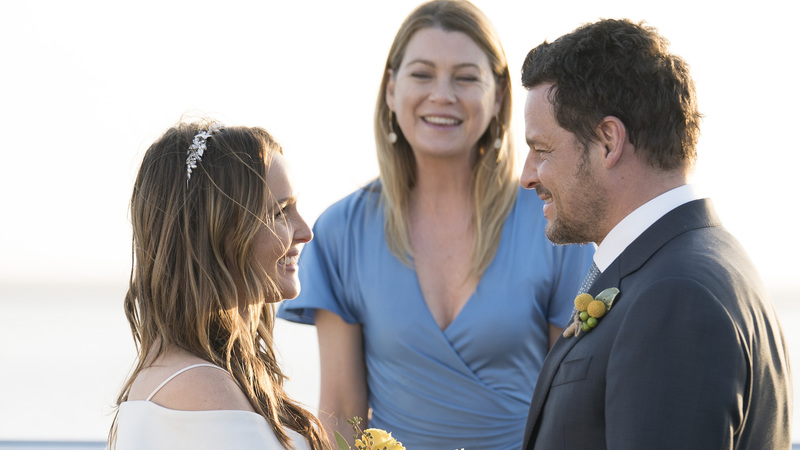 And while season 14 certainly had its fair share of drama, it did end on a high note with Alex and Jo's wedding — a good note to end on and a good spot to pick up the Grey's story in the fall. With this theme, we should expect to see more loving newlywed moments from Alex and Jo. While we're at it, let's hope that other Grey's characters will get some serious pick-me-ups in their respective season 15 arcs as well (Jackson and Maggie, we're looking at you!). All in all, it looks like things are finally looking up on Grey's Anatomy. Production has already begun on the next season, but with the theme confirmed, we're officially champing at the bit for that season premiere.